About 10 people braved the wind and rain to turn up at IpBoG this week. 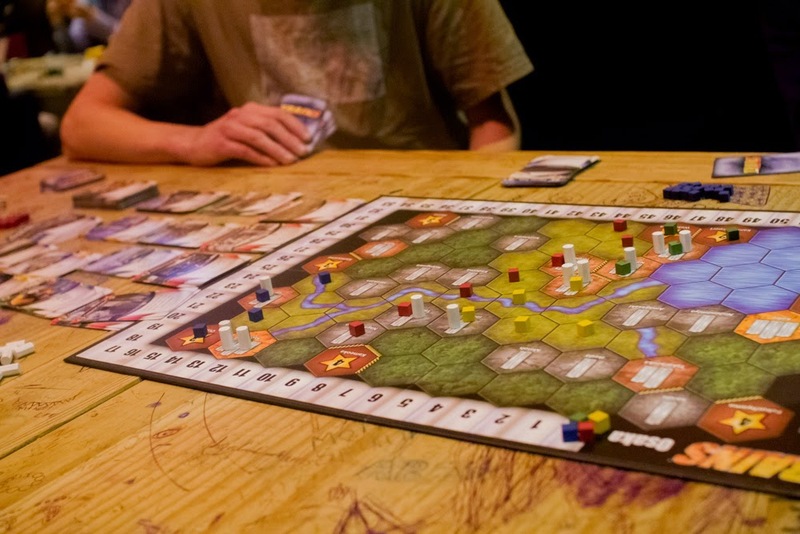 I went straight into a game of Trains while Dan's table started off with Diskworld: Ankh-Morpork. After only a few minutes I was told the game was about to end but everyone pulled together and managed to stop the end conditions from being met. The game lasted twice as long before it was finally won. The cards picked for this game of Trains included four green cards (I think this must be all of them) which are variations of lay rails trains. I think only a couple of them were picked. I went for my usual strategy of aiming for the cards. Alex went hard for laying rails. Luckily my engine (of the card, and not locomotive variety) kicked in just before Alex played all his rails. I'd already got a few skyscrapers in my hand and managed to scrape a win. After Diskworld, Dan got out Power Grid. I headed over just as they were finishing up. Craig showed me his wads of cash, telling me he had it in the bag. As it turns out he wasn't wrong and he won the game. 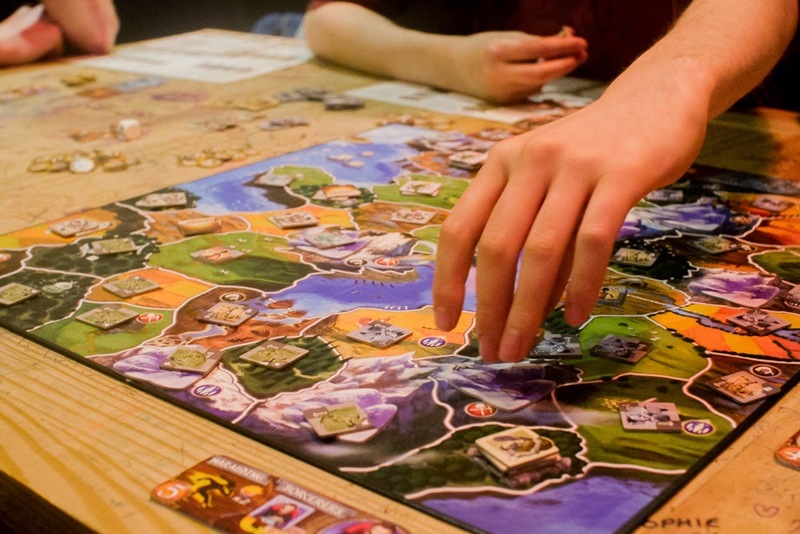 I played Dan's copy of Small World along with a couple of the expansions (Cursed and Be Not Afraid, I believe). The new races and powers were too confusing for me. I stuck to my comfort zone, picking only the base components. We had to cut it a bit short, partly because the bar was getting ready to close but also because it was Dan's game and we didn't want to make him sit and watch for 15 minutes waiting for his game back. We cut the game two rounds short and counted up the coins with Duncan claiming victory.